Students learn important skills and work attitudes through campus employment. In turn, student workers make important contributions to the life and work of the College. Kalamazoo College offers a variety of on-campus employment positions for students with various skills. The normal work load is eight hours per week. Students who qualify for federal work-study awards receive priority consideration for campus positions. 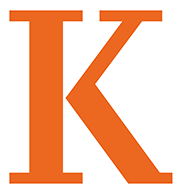 Opportunities to work on the Kalamazoo College campus include positions such as a residence hall assistant, Academic Resource Center consultant, computer lab assistant, or departmental or admissions assistant. The library, Information Services, and the Anderson Athletic Center, as well as other areas of the College, are eager to employ qualified students. Working with faculty, staff, and other students helps to shape a clearer understanding of oneself, encourages development of skills that will be valuable in the workplace, improves one’s self-reliance and personal discipline, and often helps to clarify a student’s goals. Campus employment is administered by the Center for Career and Professional Development. Details of the campus student employment program can be found on the CCPD website. Most offices need general office help for filing, answering telephones, and distributing mail. Students with computer skills may apply to be computer lab assistants, classroom media technicians or ResNet representatives (students who work in the residence halls to help their fellow students connect their personal computers to the network). Facilities Management hires students to work on the grounds and recycling crews . The library needs many students to work at the circulation desk and restocking the book shelves. “RAs” live in the residence halls and provide assistance to and plan activities for the students living in their halls. “CAs” work in the Center for Career and Professional Development and help students prepare résumés and search for internship opportunities. LandSea is Kalamazoo College’s outdoor orientation program that takes place before the start of classes. Each year, a number of returning students act as group leaders for incoming students on this backpacking, sailing, and climbing adventure. These students help their classmates excel in everything from writing to biology to calculus during the evening hours of the Learning Commons.